I wrote this story for the Dallas Morning News on March 7, 2004. PORT-AU-PRINCE, Haiti – At the height of the bloody revolt in this country, all the hospitals and clinics in the capital closed but one, a makeshift emergency room operated entirely by Cuban doctors. Over the last 41 years, the Cuban government has sent tens of thousands of doctors to dozens of nations as part of its vaunted doctor diplomacy program. Some say it’s evidence of the Castro government’s unselfish commitment to health care. But others charge that doctor diplomacy is simply a way for Cuba to bring in desperately needed hard currency. The bulk of the money paid by the nations goes to the government, not the doctors, they say. “These doctors are in essence slave labor. They’re sold on the international market to fill a need in the Third World. But the net beneficiary is the Cuban regime,” said Joe García, head of the Cuban American National Foundation, an influential anti-Castro group in Miami. Haitian patients being treated by Cubans in Port-au-Prince said they were grateful to find doctors who endured the bedlam that erupted after President Jean-Bertrand Aristide left the country on Feb. 29. Other patients being treated around him were in worse shape. Mireilhe Valentin, 44, went to a market in Port-au-Prince only to be shot in the back by a chimere, as armed pro-Aristide enforcers are known. She was the only one hit, said her friend, vendor Louisiane Joseph. 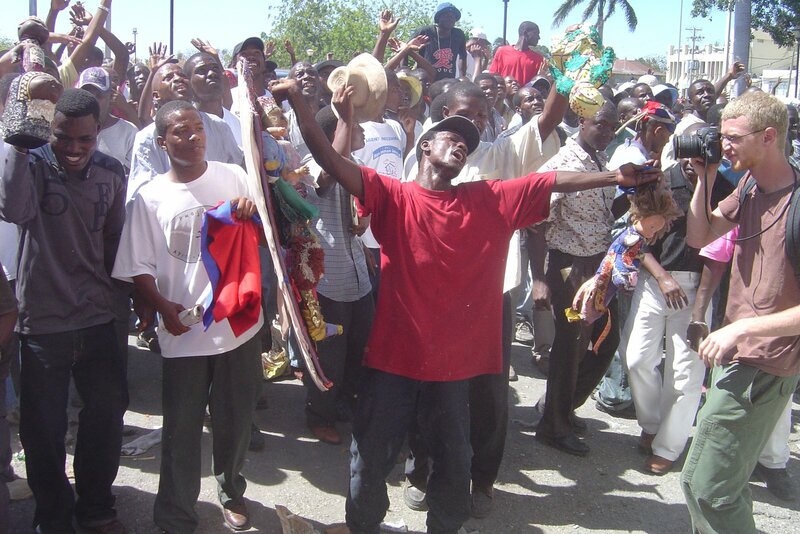 The Haitian rebellion broke out Feb. 5 when a gang of rebels surfaced in the northern town of Gonaives, demanding that Mr. Aristide step down. As the insurgents moved south toward the capital, the violence spread and the death toll surged above 100. On Feb. 25, a gang of heavily armed pro-Aristide supporters barged into the capital’s main hospital and threatened members of Médecins Sans Frontières, or Doctors without Borders, a French aid group. The violence peaked after Mr. Aristide fled. Haitian hospitals hastily shut down, and Doctors without Borders and other aid groups stopped their work, saying it was too dangerous to continue. The Cubans tended patients nonstop despite the threat, Mr. Chávez said. They cleared out a large storeroom, cleaned the floors and brought in a half dozen cots. 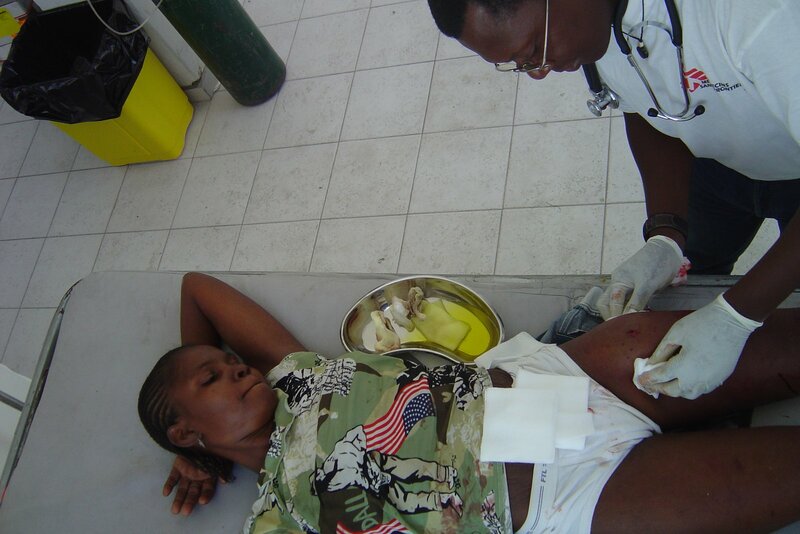 Soon the patients started arriving, many bleeding, limping and near collapse. There were 22 gunshot victims on Feb. 29 and March 1 alone. And as the week progressed, Cuban doctors treated more than 100 people, Mr. Chávez said. Looters rushed the hospital grounds at one point and stole six cars and trucks, but they left the Cuban doctors alone. Cuban Foreign Minister Felipe Pérez Roque said Cuban doctors are posted throughout Haiti, providing health care to 75 percent of the nation’s 8.3 million people. “To have an idea of how significant their work is, one should be aware that Haiti has less than 2,000 doctors and almost 90 percent of them are … in the capital,” Mr. Pérez told a gathering of Caribbean diplomats on Feb. 12. Over the last five years, Mr. Pérez said, Cuban doctors have treated nearly 5 million Haitians, assisted with about 45,000 births and performed 59,000 operations. Cuban officials estimate that their doctors have saved nearly 86,000 lives and forced a drop in Haiti’s infant mortality rate. Critics contend that Cuba exaggerates the success of doctor diplomacy. They add that the program is unfair because the physicians earn only a small share of the millions of dollars that foreign governments pay Cuba for the medical services. Even so, many doctors are eager to take part. “Cuban life in general is so miserable that only Cuban professionals would think that it is a step up to practice medicine in Haiti, Zaire, Mozambique and other impoverished Third World nations,” Mr. García said. Sometimes doctors sent abroad seize the opportunity to defect. In one case in 2000, two Cuban doctors in Zimbabwe headed to a U.N. office in that country only to disappear and wind up in jail. The doctors said local authorities had tried to force them onto a Havana-bound plane. They slipped a note to an Air France crew member, and the airline refused to board them. They spent a month in jail before the United Nations pressed for their release, allowing them to travel to the United States. Supporters of Fidel Castro say few doctors defect – they just want to help the sick and injured. Cuba dispatched its first medical brigade in 1963 to Algeria. The country now has about 15,000 doctors in at least 64 countries. Some Cubans have complained that local clinics are short-handed because of the many doctors sent abroad. But Cuban officials dispute that. And the World Health Organization says Cuba still has a huge number of doctors – about 530 for every 100,000 residents, third behind Monaco with 664 and Italy with 554.